Please join us in a Celebration of Diversity, La Fiesta! This is the Education Assistant & Community Support Worker Program's 12th annual event. La Fiesta is an inclusive celebration of diversity: "By sharing our passions for life, we will come together to celebrate our differences." Fostering inclusive community is important to students of this program which trains professionals to work with people with differing abilities in both classroom and community contexts. That includes reaching out to the broader community with an event that models the change they want to see – and be in the world. Come shake your maracas with us! Expand your knowledge, lend support and enjoy fun through dance, delicious food and all ages entertainment. This event is completely FREE and fun for the whole family. For more on this event, please contact Jane Green. Watch our video of the flash mob to the tune of Better When I’m Dancing by Meghan Trainor so you can practice! 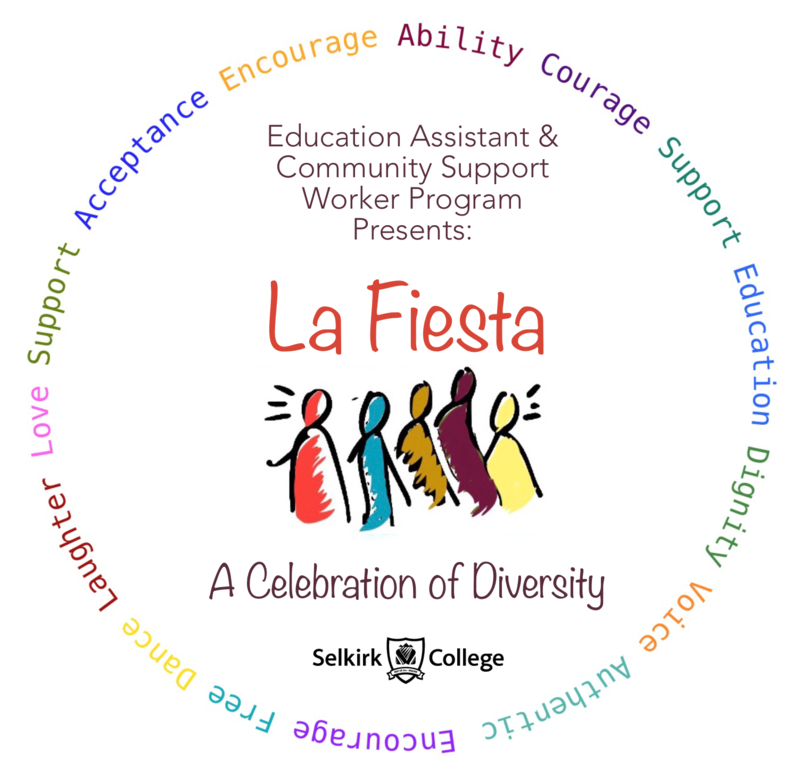 Selkirk College EACSW's La Fiesta - Flash Mob Practice Video from Selkirk College on Vimeo. Learn more about Education Assistant & Community Support Worker Program at Selkirk College and follow us on Facebook.